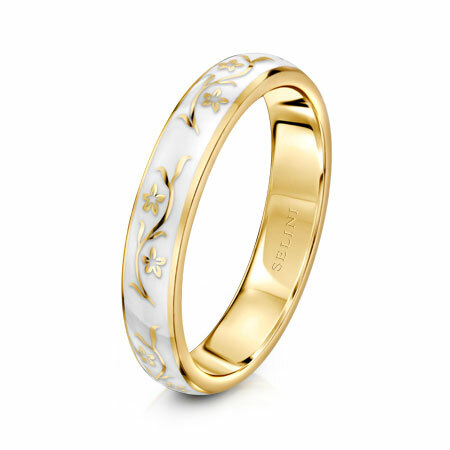 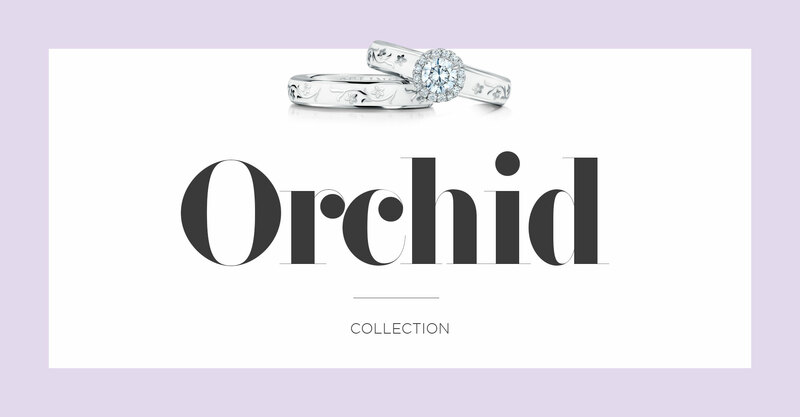 Inspired by the orchid flower these enamel rings are available in three styles and multiple colours. 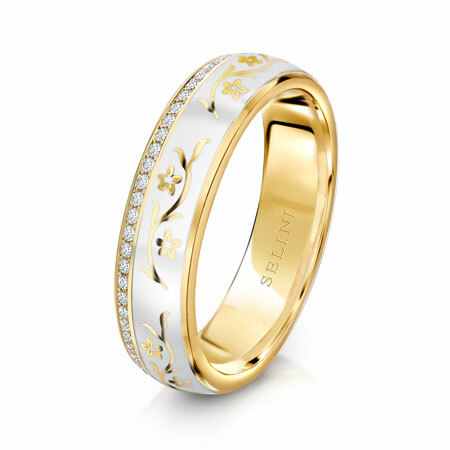 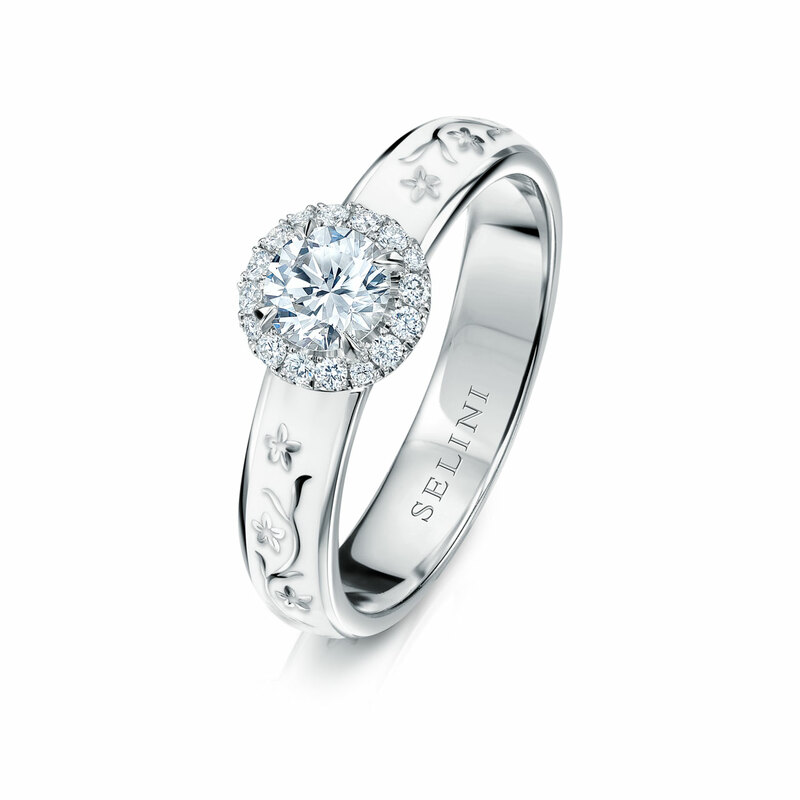 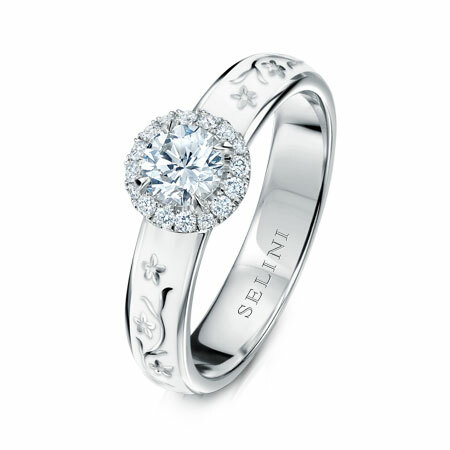 Each piece is available in yellow, white, rose gold and platinum. 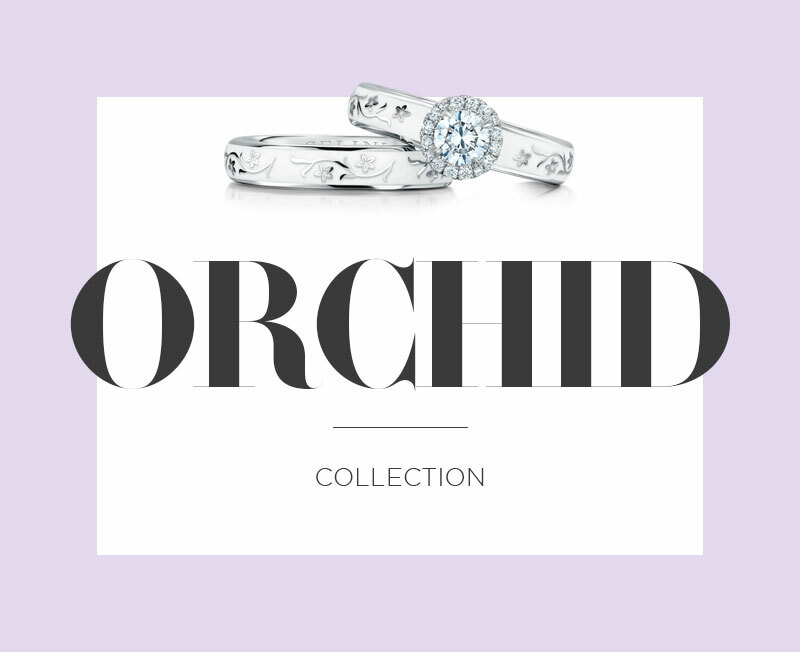 Orchid floral design with enamel and 0.4 carat diamond in 18ct gold. 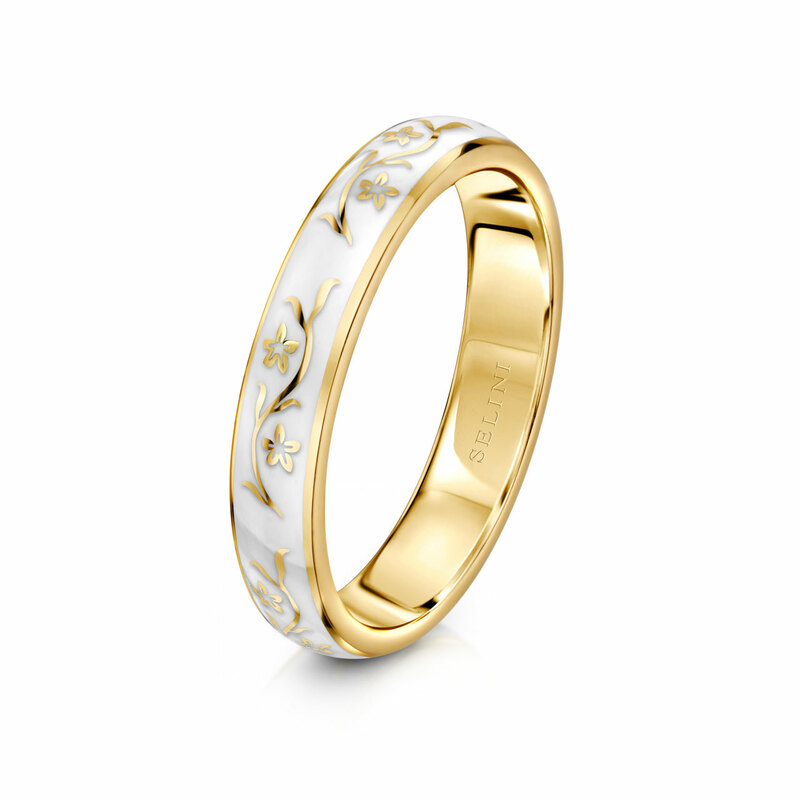 Orchid floral design with hand painted enamel in 18ct gold. 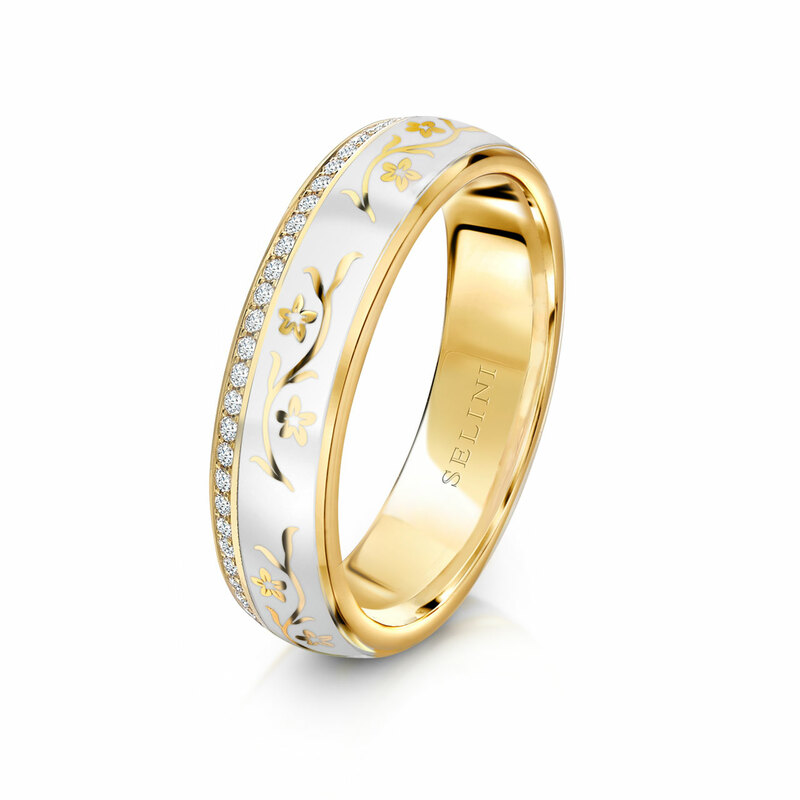 Orchid floral design with enamel in 18ct gold and pavé set diamonds.